Mussels. I love them. Muscles, too. I digress. My Mom and I have mussels all the time. One of our favourite spots to go to, especially après-work, is the Beer Bistro. Their mussels are out of control delicious, and come with a side of sough dough bread. But, at $18.50 a bowl, I needed a cheaper way to get my fix. 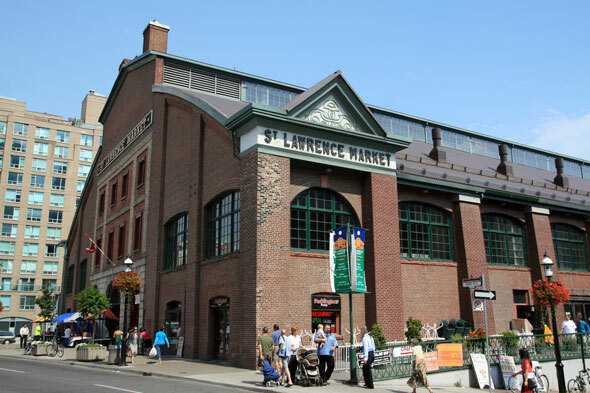 Last spring I moved to Corktown and started shopping at the St. Lawrence Market on most Saturdays. When I had some extra time, I found a fish market called Domenic’s that had fresh mussels, still in the water. WHAT! I knew I needed to scoop some out and give “mussel making” a whirl. 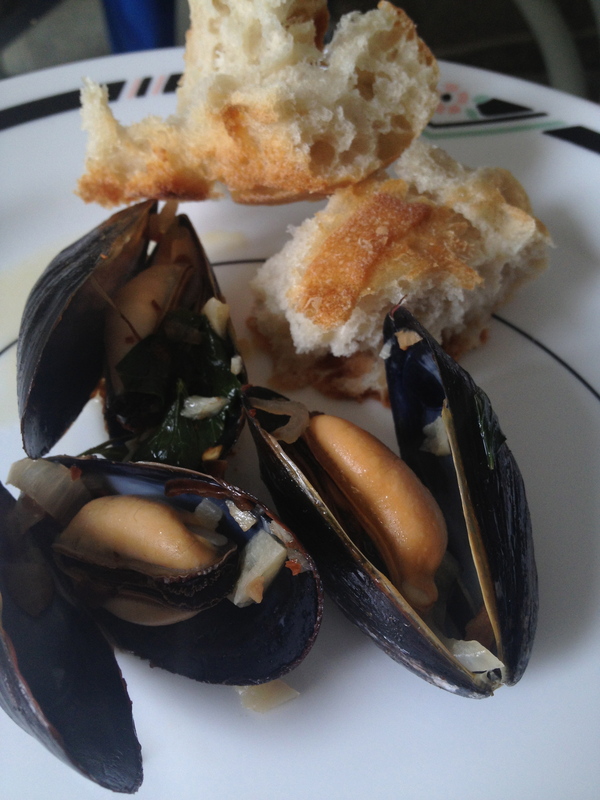 White wine is my friend, and I tend to have a glass while making this, so here is my recipe for simple, yet scrumptious mussels. I highly recommend getting all ingredients as fresh as possible, with the perfect loaf of crusty bread. Enjoy! 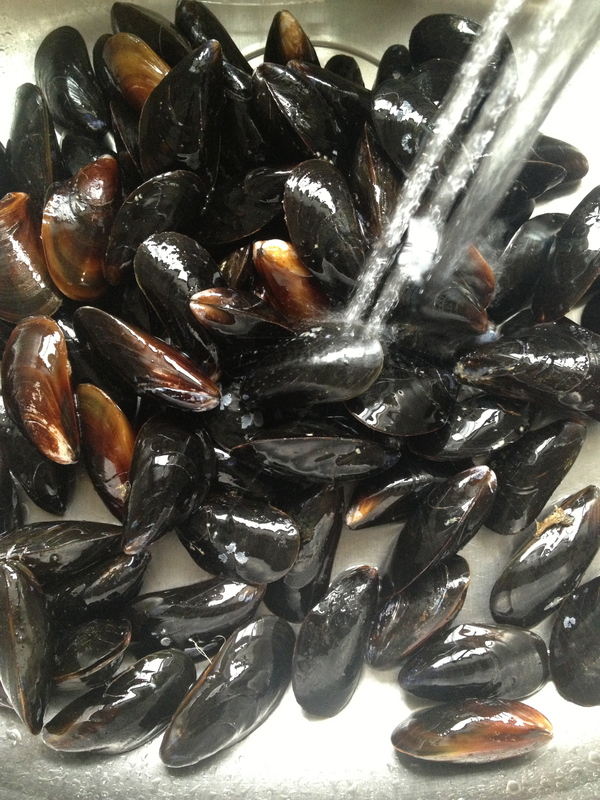 Give the mussels a bath! Rinse the mussels really well under cold water. Make sure to inspect them! Pull off any beards and discard any mussels that are broken or are gaping open. 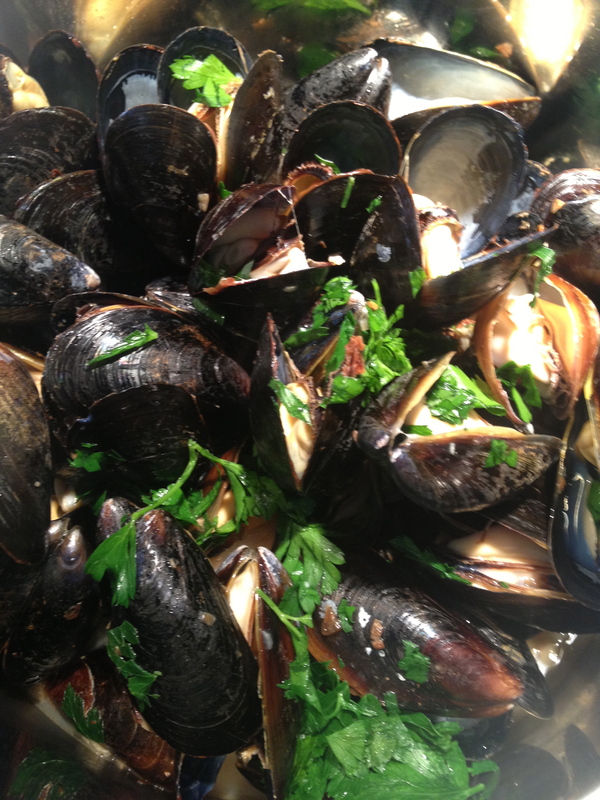 In a large pot with a lid, enough to fit all of the mussels comfortably, heat the oil and the butter over medium heat. 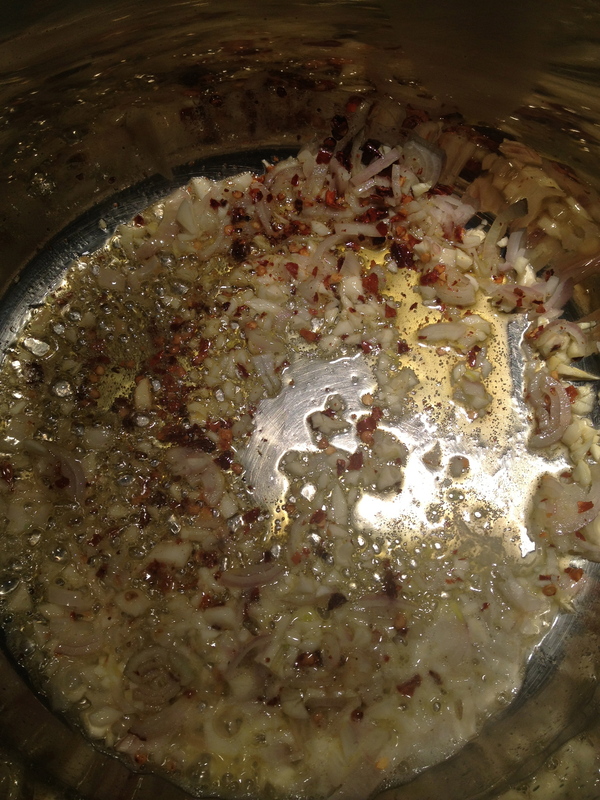 Add in the garlic, shallots, and red pepper flakes and cook until soft, about 3 to 5 minutes. Your whole kitchen should smell wonderful! 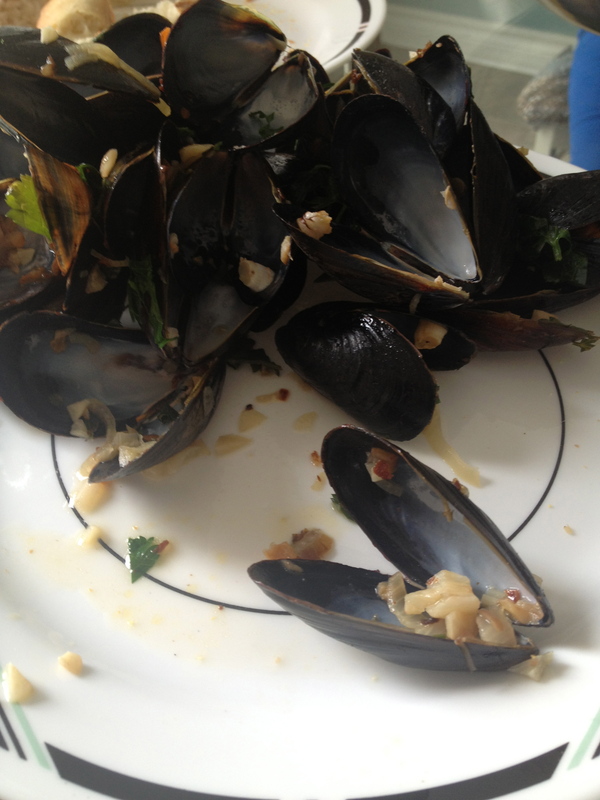 Add in the mussels, wine, and half of the parsley. Turn the heat to high, and cover. After 2 minutes, give the mussels a toss, then cover again. Cook until the mussels have opened wide, which will take about 3 to 4 minutes. 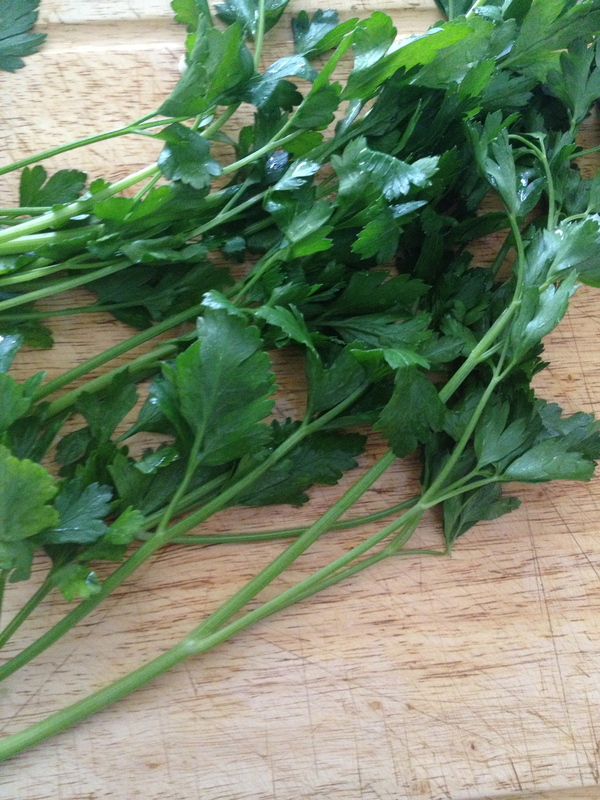 Add the remaining parsley, toss again, and serve with bread. I like to tear the bread, but slice if that’s what you like! It’s the best for sopping up all the extra broth. Also – not sure how to eat mussels? Check out this video. It’s easy! Pinch them with another shell. Plus – the video is narrated by a man with an accent, win win. LOVE the mussles from there! That’s where I buy mine when I want to make them. Amazing! What’s your favourite way to prepare them?